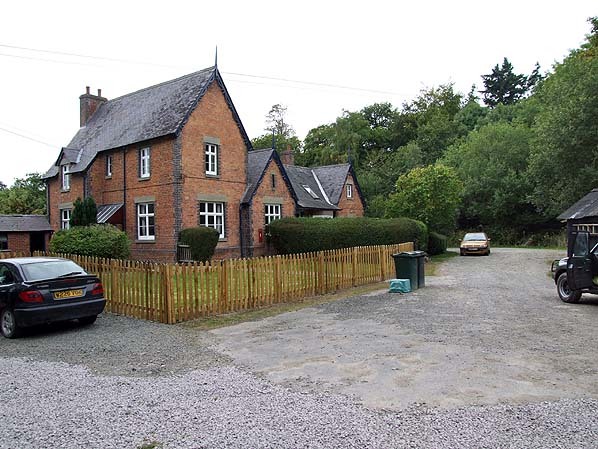 Present state: The station building which incorporates the stationmaster's house and booking office has been divided into two residential properties. It is Grade II listed. Notes: It is unclear if Plowden station opened with the line on 1 February 1866. Although it first appeared in public timetables in February it may not have been used officially, at least, from the opening of the line. Col. Yolland's report for the Board of Trade suggests that it was not ready. 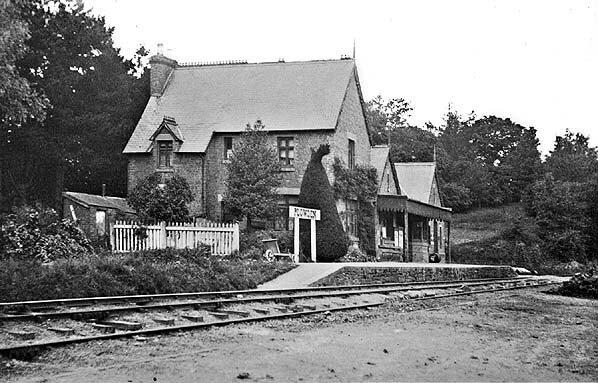 There was a temporary period of closure from 27 February 1877 - 2 July 1877.
storey H-plan station booking office to north-west with two gable ends facing onto the platform and two-storey stationmaster's house to south-east forming L-plan in a simplified Tudor Gothic style. Attractive ornamental bargeboards decorated the gable ends. There was a waiting area protected by a canopy in front of the booking office. 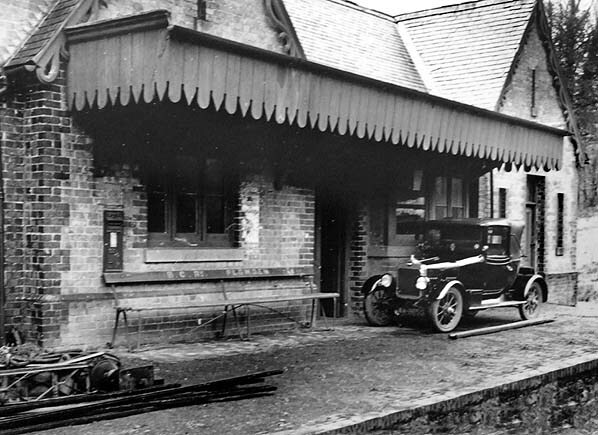 A bay window overlooked the platform and goods yard with a post box set into the wall adjacent to the window with the station. 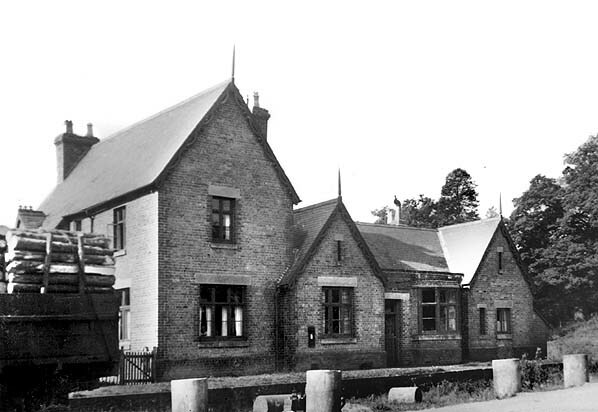 The building, which is now two residential properties (Station House and Station Bungalow), is Grade II listed. The goods yard which is accessed from a minor road off the A489 comprised two parallel loops opposite the passenger platform. A 6-ton crane stood to the west of the loops, and it matched those at Bishop's Castle and Lydham Heath. The yard handled considerable amounts of stone from the Squilver Quarry which was transported by the BCR from Lydham Heath to Plowden and Horderley. After closure one of the two BCR locomotives - 'No. 1' - was stored in one of the loop sidings at Plowden awaiting scrapping on site. 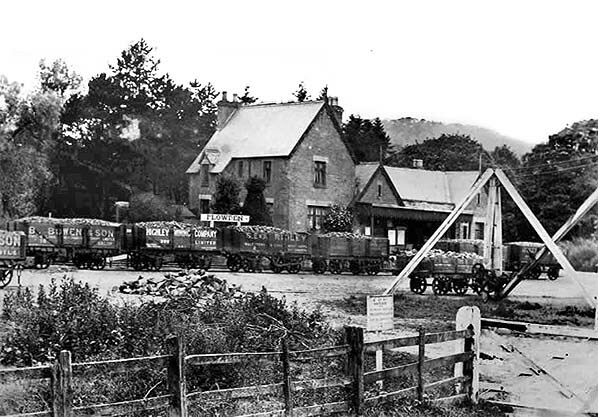 Shrewsbury and Hereford line at Craven Arms to join the Oswestry & Newtown Railway (later to become the Cambrian Railway) near Montgomery, with a short branch to Bishop’s Castle. Plans for the line were deposited at Shire Hall, Shrewsbury, and the entire route was surveyed later that year. The Bishop's Castle Railway Company (BCR) was established in June 1861, and the following month the company received Royal Assent for the construction of their line. Tickets from Michael Stewart. except 360, 3046, 3089 & 6419 Brian Halford. Bradshaws from Chris Hind and Nick Catford. Route maps drawn by Alan Young. between the two loop sidings. 1902 1:2,500 OS map. There is little difference between the two maps. A passenger train hauled by No. 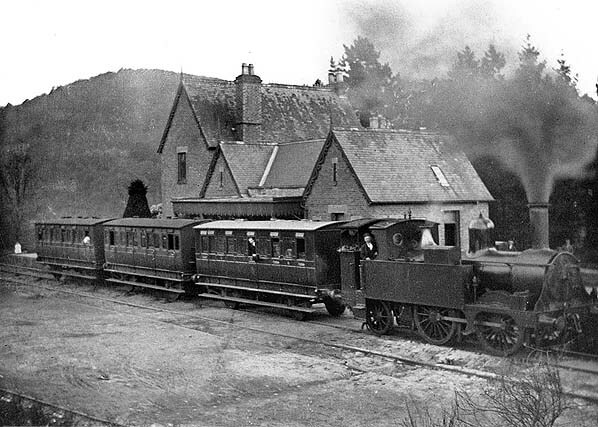 1 bound for Bishop's Castle pulls out of Plowden station c. 1906. The Bishop's Castle Railway had two locomotives. No. 1 was built by the GWR at Wolverhampton works in 1869. It was a small 0-4-2T tank engines (517 class) designed by George Armstrong for local passenger work on the Great Western Railway, and it carried the GWR No 567. After closure of the BCR, No.1 (Tanky) was put into a siding at Plowden to await cutting up on site. A stone train stands in the inner loop siding at Plowden station in May 1907. A single stone truck stands in the outer siding behind the 6-ton yard crane. Many tons of stone from the Squilver Quarry were transported by the BCR from Lydham Heath to Plowden. 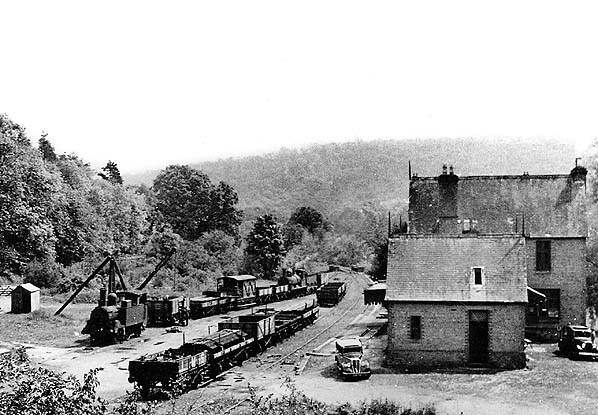 Plowden station in 1931; a single wagon of anthracite stands in the inner loop siding. 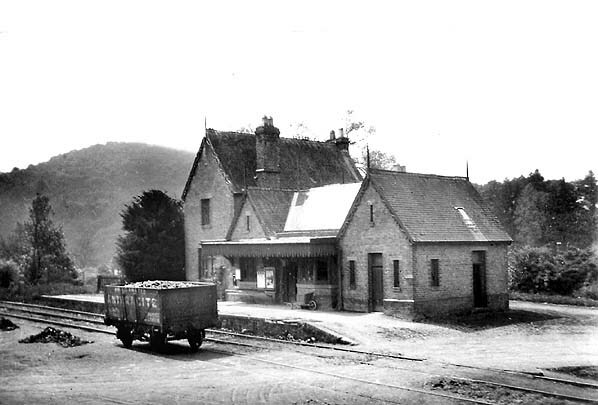 Plowden station during track lifting in 1936. 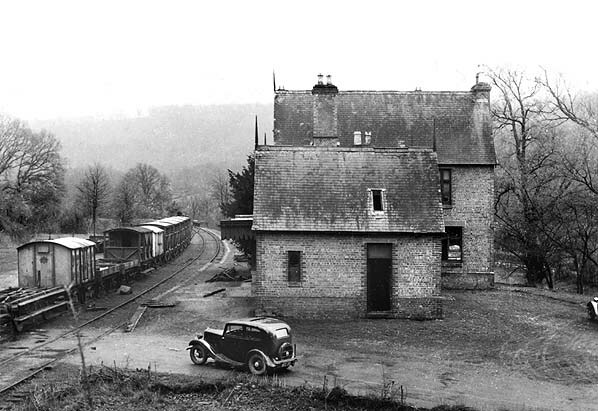 A demolition train at Plowden station in 1936. This picture gives a good overall view of the layout of the goods yard with two loop sidings and, to the left, the yard crane. At 6-tons it matched the size of the cranes at Bishop's Castle and Lydham Heath. It was needed here to handle the large quantity of stone traffic. The line’s two locomotives are both seen: ‘No. 1’ is on the left waiting to be scrapped, while ‘Carlisle’ is seen 'in steam' at the other end of the siding. The building to the left of the crane is the weighbridge office, and the entrance to the goods yard is seen to its left. A demolition train stands in the inner loop siding at Plowden station in 1936. 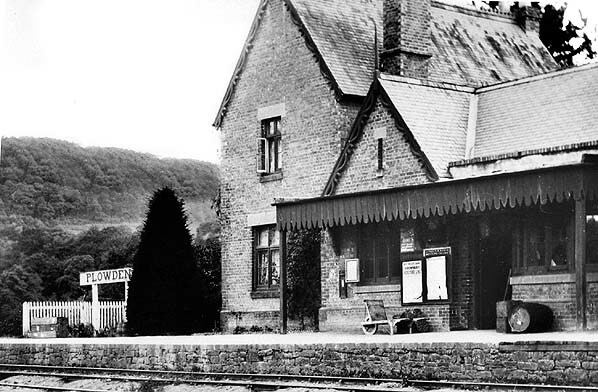 The station building and platform at Plowden in October 1949. 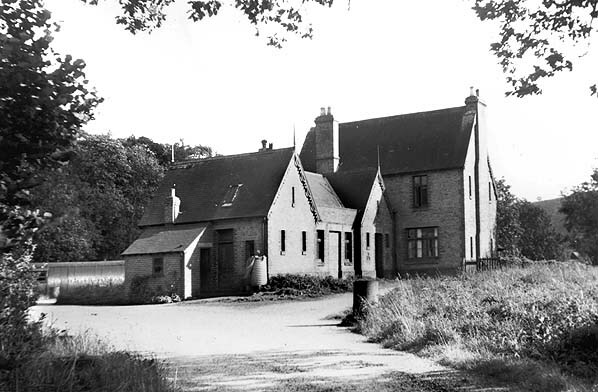 Plowden station forecourt in September 1958. 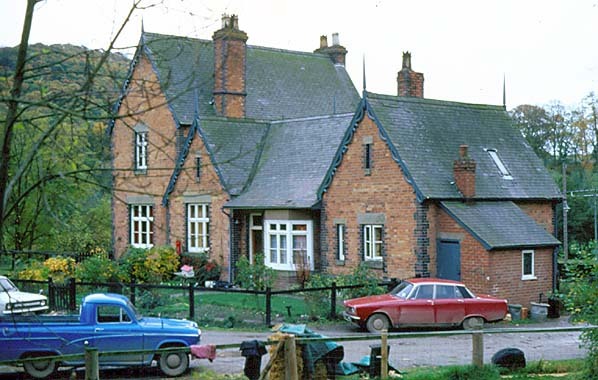 Plowden station in October 1979. Plowden station looking north-west from the goods yard in September 2009. The building is now divided into two residential properties and is Grade II listed.